Today we unveil our latest release, Sisense 6: a stronger, more open platform, and a huge step forward in our continuing journey to simplify business analytics for complex data. Sisense 6 comes with exciting new capabilities in terms of advanced analytics, mobile and API, as well as complete end-to-end connectivity that lets users easily pull any data to and from the Sisense data engine (Elasticube). This release brings Sisense’s award winning technology and superior performance to previously unexplored areas: from advanced analytics with R, to instantly visualizing complex statistical calculations, to using Sisense alongside popular reporting and visualization tools for rapid querying and visual data modeling. The ability to perform advanced analytics at speed makes Sisense the perfect fit for data analysts, developers and other power users who now have new and fascinating ways of tranforming complex data into clear business insights. At the same time, business users will continue to enjoy the simplicity and intuitiveness of the Sisense platform, and will likely find added value in connecting Sisense to the existing front-end data visualization tools of their choice. While we aim to provide our customers with a Single-Stack™ tool for all their analytical needs, including data preparation, analysis and visualization, we are also aware that many companies already have various BI systems in place – and in some cases these tools are deeply incorporated into a company’s workflow. However, we believe that organizations which are accustomed to using other reporting or visualization platforms, should still have the ability to utilize SIsense’s unparalleled ability to query and join large and diverse datasets faster than any tool in the market. And now they can, because Sisense is an open platform which can be used alongside any other tool that supports ODBC, including some of the most popular contemporary data visualization and reporting tools. Now you can use these tools without ever having to worry about performance: let Sisense’s powerful data engine crunch the data for you, then access it directly from your reporting software. This new connectivity, combined with R integration, a better mobile experience, and an enhanced REST API, make Sisense more accessible and connected than ever, allowing it to seamlessly integrate into existing and growing business analytics ecosystems. The newest version of Sisense comes with two game-changing features for advanced analysis:: advanced statistical functions and native R integration. Finally, users can leverage Sisense’s fast querying to perform complex calculations at speed, while leveraging its robust data cleansing and modeling capabilities in order to easily prepare data for analysis in R.
Analysts can use the library of out-of-the-box statistical functions now available in Sisense to find relationships and correlations in Big Data, and easily present the results to senior management in beautiful visualizations such as the one seen above. And then, to go even deeper, you have access to an extensible and almost unlimited repository of statistical and predictive techniques from R directly from your Sisense dashboard. These advanced analytical functions, developed in R, can be saved for reuse within Sisense, giving business users unprecedented access to these advanced data analysis. With the new Sisense mobile apps for iOS and Android, you’re never too far away from your data. Quickly access your HTML5, responsive dashboards from your mobile device, with enhanced navigation and search capabilities to provide a superior mobile experience. Our mobile apps make Sisense Mobile that much easier to access, setup and distribute. Sisense 6 is available to download starting November 18th. The fully-functional free trial edition is open to existing customers, newcomers and even those who have evaluated Sisense in the past and would like to see what’s new. 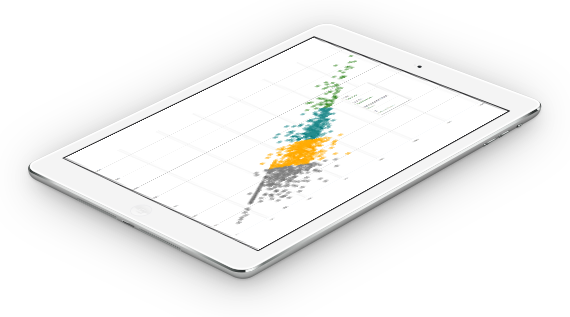 We invite you to install it, try it on your own data and see for yourself how simple analyzing complex data can be. Download your fully-functional free trial of Sisense 6 now.